The Aunties'Old School Nursery in Stanton St John (OX33 1ET) is located in a former school building in an idyllic, yet convenient, rural setting. The building itself is situated in spacious grounds surrounded by extensive fields. Our nursery in Stanton St John enjoys a unique positon: the children enjoy the benefits of a location with a magical, open, rural 'feel'. 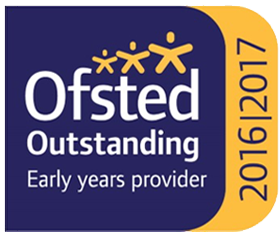 Parents appreciate the convenience of the nursery's location which is close to the Headington/Green Road roundabout, ring road, and A40, allowing easy acess to and from all parts of Oxfordshire, Buckinghamshire and London. The nursery itself is located in a tradiitonal school building at the end of School Lane, which is opposite the Talkhouse Inn, just off the B4027. When visiting The Aunties' Old School Nursery, please park in the Talkhouse carpark (we have a special arrangement with the landlords - whose own children came to The Aunties!). Turn right out of the carpark, and right again into School Lane. Ahead of you is the nursery. As you climb a couple of steps, passing through the gate (please bolt this behind you), you will then pass along a short pathway. You will then see, to your right, steps leading up to the raised terrace. Please approach the glass door where you will be warmly welcomed by The Aunties. Please be aware that you may be requested to show two pieces of identification (one with a photograph); you will definitely be asked to sign our Visitors' Book and (like our staff) to hand in your mobile telephone and other electronic devices for Safeguarding purposes. The Aunties' Old School Nursery in Wheatley (OX33 1NW) is conveniently situated in a desirable residential area in Littleworth Road (opposite the Primary School and Community Centre). The large, private property occupied by the nursery is easily identified by its exclusively-designed and distinctive white gates. When visiting The Aunties' Old School Nursery in Wheatley, please enter the white gate on the left hand side (as you face the building) and exit via the gate on the right. Parking may be found in the area inside the gates, in front of the building. To access the nursery, please enter the white picket-fenced courtyard to the left of the building. Enter via the gated archway (carefully bolting the gate) and ring the bell to your left. You will receive a warm welcome from the Aunties. Please be aware that you may be required to present two pieces of identification (one with a photograph); you will defintiely be required to sign our Visitors' Book and to hand in your mobile telephone. Please refer to Google maps below to obtain specific directions using your own and the nurseries' postcodes. Please be aware that, as a matter of strict safeguarding policy, we, The Aunties, do not have name signs identifying our nurseries. If you get lost and need help locating us, please feel free to telephone us for directions (01865 351215 for Stanton and 01865 872606 for Wheatley).